SUPPORTING SEMINARS ARE VERY IMPORTANT ,BECAUSE THEY HAVE AN EXAM MODELS. 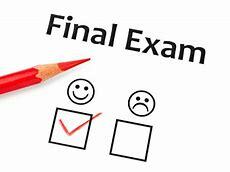 IT CAN HELP YOU TO PREPARE YOUR EXAM VERY WELL!!! SO PRACTICE HARD TO ACHIEVE YOUR GOALS!!! KEEP PRACTICE & KEEP MOVING!! !